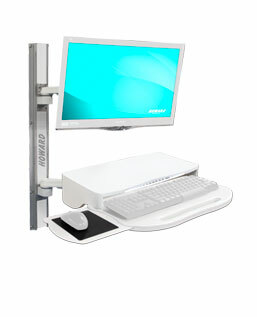 Strategically placed wall-mounted arms increase efficiency by providing more access points for readily available data. 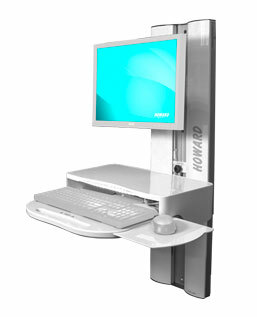 Howard Medical wall-mounted arms include solutions for both patient rooms and high traffic areas, helping clinicians improve workflows and provide better patient care. 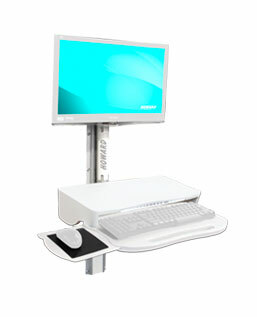 The height adjustable and side-to-side panning capability of both the keyboard and display enables clinicians to interact with their patients while entering data. 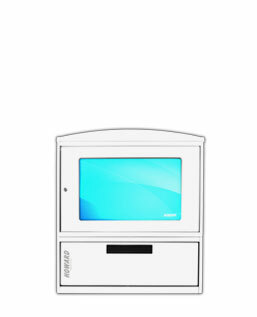 Designed for superior form, function, and durability, Howard's wall-mounted, all-in-one computing cabinets are the perfect solution for patient rooms, nursing stations, and recovery units–anywhere workspace is limited. 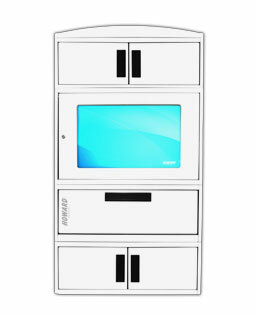 In addition to requiring a minimum of space, these wall-mounted cabinets provide proper airflow ventilation for your small-form factor computing device and secure storage for medication, equipment and supplies at the point-of-care, with custom configurations that include even more storage compartments. 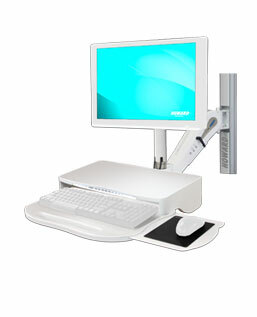 These cabinet-style workstations enable hospital personnel to access patient records easily and complete charting requirements without interrupting ancillary workflows. 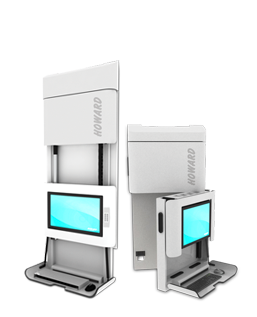 And, Howard wall-mounted, all-in-one computing cabinets come with a top-rated 3-year standard warranty and 24-hour customer support. 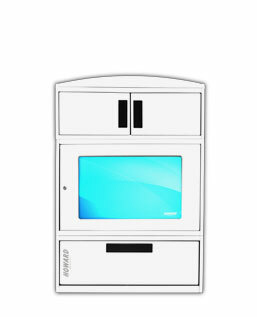 Make your job easier and increase efficiency with Howard wall-mounted computer cabinets!